The quality and precision of mixing allied with a controlled plastic state open up numerous uses for the UCPTM as part of the production of industrial ceramics. Its slow rotation and production at atmospheric pressure reduce the level of wear and the frequency of maintenance and servicing work for the equipment. Examining a reduction in the proportion of binding agent or water offers opportunities to optimise mixtures and energy consumption. 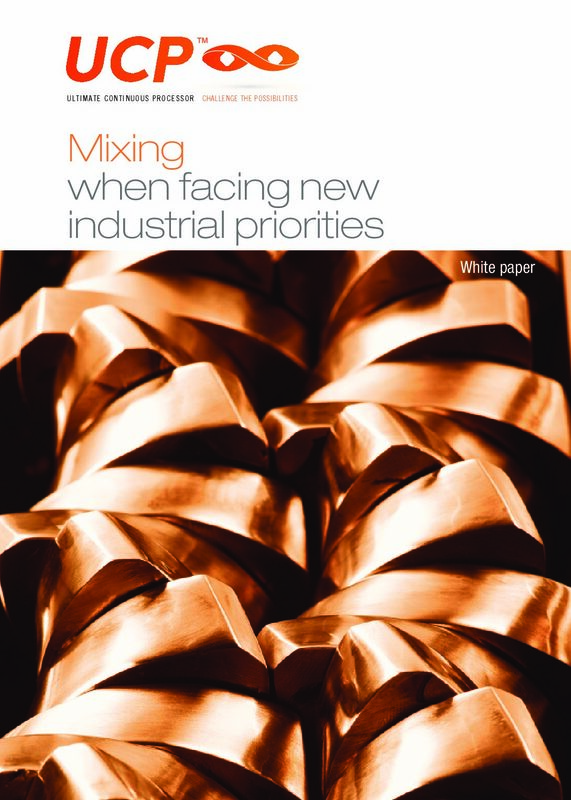 How can mixing, which is simply defined as the work of viscous products, relate to the industrial priorities of today and the future? The following pages provide an overview of this viewpoint. With our UCP, all production phases are integrated in the same unit.